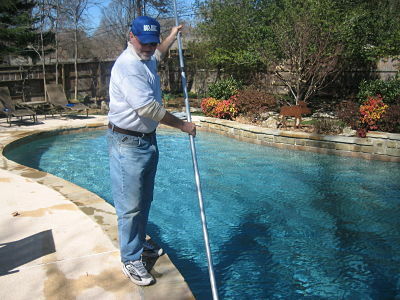 Weekly pool maintenance is the backbone of this business. Metro Pool Service offers the following 2 services to help you with just chemicals, or with all of your weekly needs. Turn your weekly swimming pool service headaches over to us, and you can eliminate those confusing, expensive and frustrating trips to pool stores trying to figure out which chemicals to buy. We will come to your pool once each week while the pool is open (April 1 through Oct. 31), and twice each month for the rest of the year if the pool has no cover on it. We will test your water, add all of the necessary chemicals and we will sign a card to let you know we were there. You will have no dangerous pool chemicals to store, so you won't have to worry about everything near your chemical storage area being ruined with rust! This service is great for people who want to clean their pool themselves but not mess with the chemical hassles and water testing. Please call 918-622-4400 for current pricing. So, you don't want to clean your pool or do the chemicals? Then just add weekly cleaning to the chemical service and all you will need to worry about is adding water to the pool as needed! 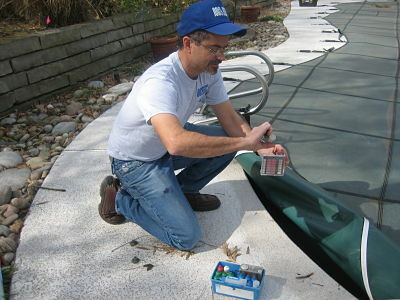 Cleanings generally include emptying the pump and skimmer baskets, removing leaves from the pool, vacuuming, brushing, and backwashing (sand filters). Call 918-622-4400 for our current prices. return to Metro Pool Service home.